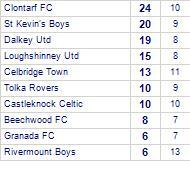 Liffey Valley Rangers are defeated by St Kevin's Boys. 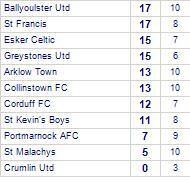 St Kevin's Boys beaten by Ballyoulster Utd. 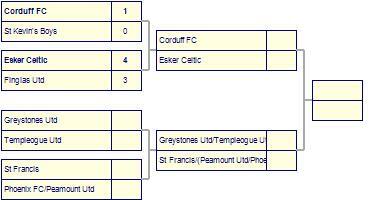 Stella Maris draw with St Kevin's Boys. 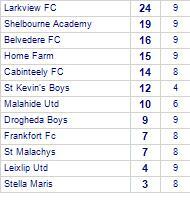 St Kevin's Boys take spoils against Lucan Utd. 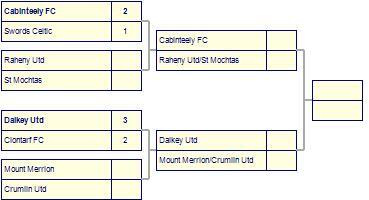 Lucan Utd has yet to win in this competition, having lost its last 2 games. St Kevin's Boys lose to Terenure Rangers. St Kevin's Boys beat Leicester Celtic. Leicester Celtic beat St Kevin's Boys. 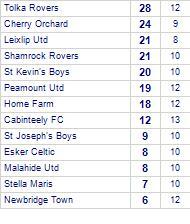 St Kevin's Boys take all points from Beechwood FC (SD). 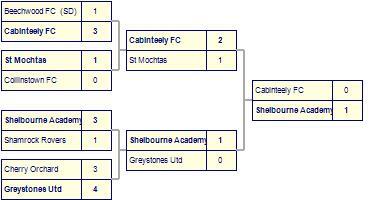 St Kevin's Boys claim victory against Corduff FC. 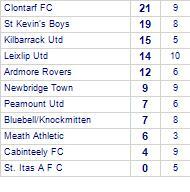 St Kevin's Boys claim victory against Leixlip Utd. St Kevin's Boys win against . St Kevin's Boys suffer defeat to Greenhill's Boys. 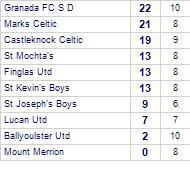 St Kevin's Boys has yet to win in this competition. 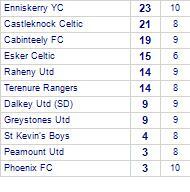 St Kevin's Boys share honours with Cabinteely FC. 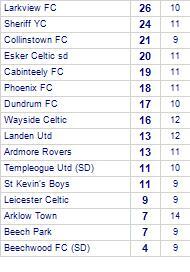 Arklow Town despatched by St Kevin's Boys. 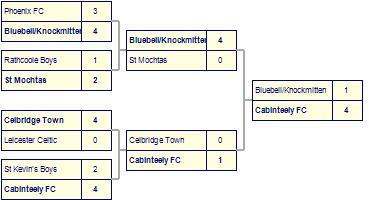 St Kevin's Boys lose to Celbridge Town. 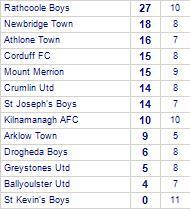 St Kevin's Boys have won 3 out of 4 home games. 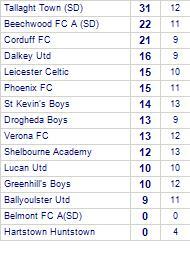 Phoenix FC take spoils against St Kevin's Boys. Phoenix FC have lost 5 out of 6 home games. 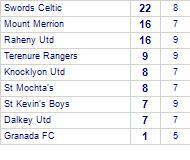 St Kevin's Boys suffer defeat to Swords Celtic. 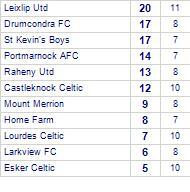 St Kevin's Boys take spoils against Larkview FC.